The Romanian Minister for European Funds Rovana Plumb has presented a report on the absorption of European funds. Romania’s absorption rate of European funds is 20.3%, while the European average is 22%, said the minister in charge, Rovana Plumb, who made a series of clarifications related to how Bucharest uses these financial instruments created by the European Union in order to support member states achieve certain standards in various areas. Rovana Plumb presented a series of data on the stage of the absorption of European funds. 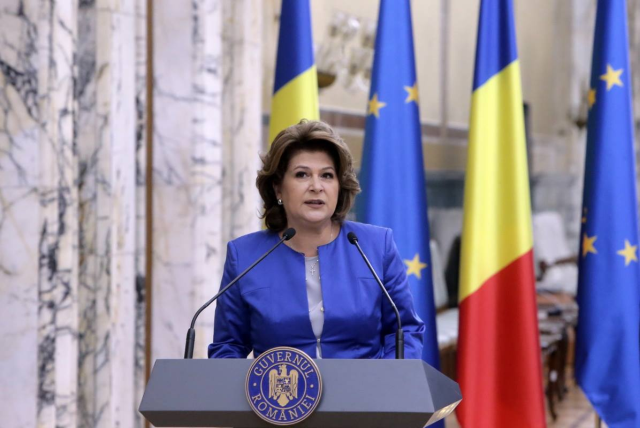 She said that 6.4 billion euros entered Romania through the cohesion policy, with the figure standing at 11 billion euros if the direct payments to farmers are included. Also, funding lines of 25.3 billion euros were launched and projects worth 33 billion euros were submitted. “The 25.3 billion euros account for 90% of the total allocation of cohesion funds managed by the Ministry for European Funds and the Ministry for Regional Development and Public Administration”, said Rovana Plumb. She emphasised that no euro was lost and the delays were recovered, while also pointing out that the relationship with the European Commission was very good, permanent and fair. The European Minister for European Funds Rovana Plumb also said that by the end of the year, major infrastructure projects worth 2.5 billion euros would be submitted. She recalled that the absorption rate in 2012 stood at 7%, and that Romania reached 90% within a space of three years. She said the government decided to build three regional hospitals in stages, based on the allocation of European funds in the current programming period and the national allocation of 150 million euros for each case. The government does not rule out the construction of regional hospitals funded through public-private partnership, given that the public-private partnership law was passed this year and that this type of funding can be ensured though the state budget and non-reimbursable European funds, Rovana Plumb also said.